Getting infected by the can-do spirit at Maker Faire. I got off the plane from New Zealand and went straight to Maker Faire Bay Area 2014 where I saw individual makers, crafters, start-ups, and families play and make together. Mega trends came together with DIY and makers crafted solutions and expressions. 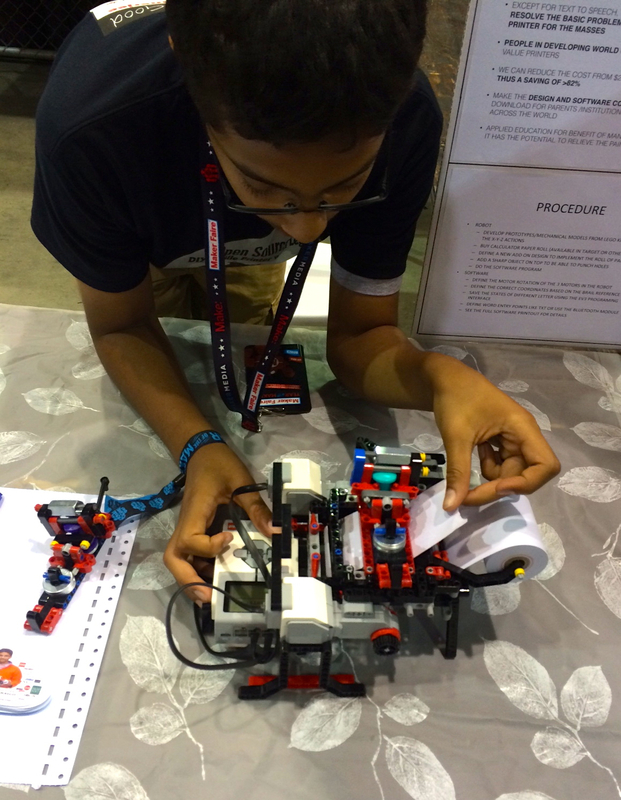 My favorite example was Braigo, a truly impressive open source braille-printing machine created by Shubham Banerjee, a 12-year-old using Lego Mindstorm. What really surprised me is that despite the disruption to the production model (1/6th the cost of traditional braille printers) he was not looking to sell his tool. He was instead making his open code freely available. A truly humanitarian contribution. These makers are building to be part of humanity just as much as to exercise their creativity. It occurred to me that one of the main takeaways was simply the incredible mass of people who were excited to explore, play, and make together. The joy of participating in creation is infectious. A lot of the advanced tools focused on management of smart physical connections and metrics. Other takeaways included the power of mesh networks, the playfulness of drones and robots alongside their productivity, the directions of controlling Arduino tools with smart phones and vice versa, the biotech maker lab, a materials library/library partnership, and disruption not just of industry areas but also of profit models. I was also impressed by “Feetz” a custom 3D foot scanning and shoe printing tool that seems to have potential for on-the-go custom shoes. I would pay to print a custom walking shoe at an airport or hotel when traveling, especially those times I forget to pack the right shoe. A small scale unassuming disruption of an everyday process with hyper customization. 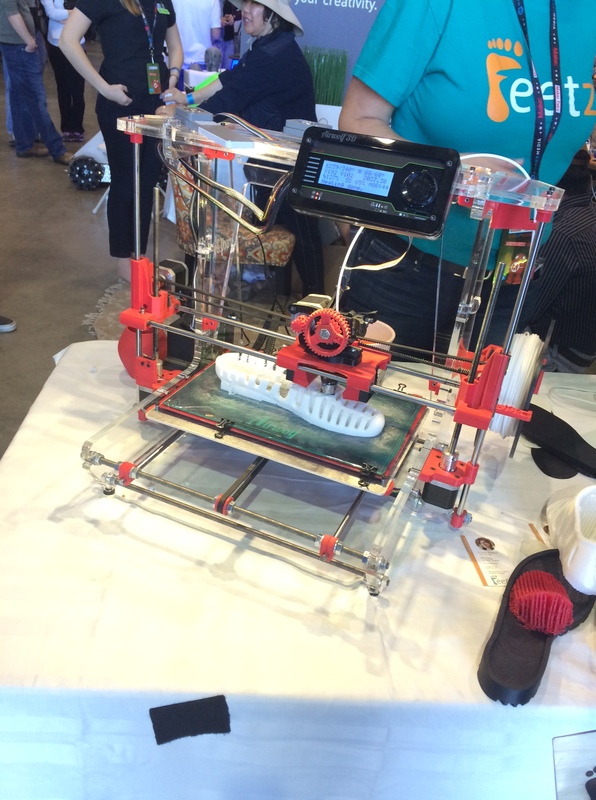 How might librarians want a bigger presence next year at Maker Faire? What can we libraries do there beyond exhibit what our maker spaces are doing and seek partners? Let’s think big and do it. Keep on making and let me know about your library made projects and ideas.